Jump Smart Early Learning Academy opened its doors January 1996 and has been a pillar in the community for 19 years. Our teachers are experienced in the field of Early Childhood and each one brings their own unique talents to our program. Owner/director of Jump Smart Early Learning Academy and she holds a BA degree in Early Childhood Education, an Illinois Credential II and a Aims Director National Credential from National Louis University. Miss Dee has worked in the field for more than 19 years. Her program is Accredited and is recognized as a Illinois Silver Quality Program. In addition, her program is the proud recipient of the Kohl McCormick Teaching Award. Miss Dee understands how children grow and learn and she takes pride knowing that her children are well prepared for Kindergarten. Many of Jump Smart students attend the top programs throughout the city and suburbs. According to Miss Dee, ensuring children are prepared for their next milestone fosters the following ingredients; a hands-on environment that ignites the love of learning, experienced teachers that understand how children learn, and a strong partnership with parents to create the perfect balance for success. Lead Teacher; she holds an Associate Degree and has taken many classes in Early Childhood. Ms. Cooper is a mom of 6 year old Amari Gates and she believes that children learn best if the environment offers a variety of open learning centers. This provides choices that are not always teacher driven but allows children the freedom to explore. Ms. Lourinza has been with our program for over 10 years and is the nurturer of our Jump Smart Family. She generates love and the children respond to her positive energy through daily interactions She is a single parent of two adult children, and believes children are happiest and ready to learn when they feel the love and support from their caregivers. Mr. Alvarez is our Spanish instructor and is the newest member of our Jump Smart Family; he is gentle with the children and is skilled in his approach to teaching them Spanish. Mr. Alvarez has many tools in his back pack to help children master Spanish lessons. Not only are the children engaged but Mr. Alvarez often loses track of time as he works his magic exposing the children to Spanish. Mr. Alvarez also works for the Chicago Park District and coaches children during the Special Olympics. 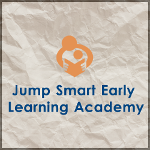 Jump Smart Early Learning Academy opened its doors January 1996 and has been a pillar in the community for 19 years. Our teachers are experienced in the field of Early Childhood and each one brings their own unique talents to our program. Ms. Lourinza Ogden (affectionately known as Ms. Lo Lo) has been with our program for 10 years and is the nurturer of our Jump Smart Family. She generates love and the children respond to her positive energy through daily interactions She is a single parent of two adult children in which one of her sons is an alumni of Jump Smart Early Learning Academy. Ms. Danielle is the youngest member of our team and has been a teacher with our program for 5 years. She has some early childhood credits and plans to return to school in the near future to pursue a degree in Early Childhood. Ms. Danielle is our head teacher and has a unique talent of making learning fun for the children. They are eager to participate in learning new skills while having fun doing it. Mr. Alvarez is our Spanish instructor and is the newest member of our Jump Smart Family; he is gentle with the children and is skilled in his approach to teaching them Spanish. Mr. Alvarez has many tools in his back pack to help children master Spanish lessons. Not only are the children engaged but Mr. Alvarez often loses track of time as he works his magic exposing the children to Spanish. DeCarla Burton(affectionately known as Miss Dee) is the owner/operator of Jump Smart Early Learning Academy and holds a degree in Early Childhood Education. She has worked in the field for more than19 years. Her program is Accredited Star Level III and the proud recipient of the Kohl McCormick Teaching Award. Miss Dee understands how children grow and learn and takes pride when she shares that her children are well prepared for Kindergarten. Many of her students attend the top programs throughout the city and suburbs. Jump Smart Early Learning Academy uses a research-based Curriculum to ensure our teachers know what, why and how to teach effectively. We also follow the Illinois Learning Standards, setting goals to ensure children are prepared academically, socially and emotionally. By understanding the theory and research behind how children learn, we are better able to support their development and progression of new skills over time. Our nature classroom has a full range of activities for children to participate in, including those that are traditionally thought of as “indoor activities”. While outside, children frequently have the opportunity to initiate their own learning experiences with caregivers that support and encourage them to step out their comfort zone. Our outdoor space offers a balance of areas for physical active and less active play. We have a reading tunnel that has fragrant flowers, a variety of edible plants and soft pillows, inviting children to enter and snuggle up with a book. There are riding toys, traditional slide equipped for climbing and crawling. In addition you will find a music wall to explore sound, a gravel pit for digging, measuring, and problem solving, a building area that promotes creativity, a children’s garden to encourage healthy eating, and a discovery writing center that is a special place for recording, measuring, and observing the natural environment. Our children experience nature in as many ways as possible and our outdoor classroom continues to evolve with each child’s changing needs and interests. Visit our photo gallery to view our outdoor environment.